Maximizing the educational experience is the reason students frequently cite as why they pursued honors classes at Ship. The rigor of each course, collaboration among classmates, and dedication of faculty lead to a profound and diverse learning environment. To continue that effort, it should come as no surprise that the Shippensburg University Honors Program has progressed and evolved over the years. This past spring, the program officially elevated its status to the Wood Honors College. More than a name change, this effort will provide new opportunities to students in the program. Describing herself as “extremely persistent,” Klein said she always considers the long-term goal. When she heard the university had plans for new residence halls, she pushed for honors housing. “We were the first living-learning community. We piloted an LLC in Seavers,” she said.
. The honors curriculum under the new college status will be revised by fall 2019, coinciding with the thirty-fifth anniversary of honors education at Ship. Honors students will benefit from a national honors network, gain professional development opportunities, and can take advantage of other year-round honors experiences. Intense is one way to describe the first semester freshman honors seminar. Dr. Christine Senecal, associate professor of history, kicks off the honors experience with a ten- to twelve-page historical research paper. “I was dreading (Dr. Senecal’s) class with the beast of a paper,” said Jake Gillespie ’18, communication/journalism major. But Senecal helped Gillespie shape his paper into a topic tied to his discipline. He ended up writing fifteen pages on Ancient Egyptian sports. These class experiences lead to research, presentations, and scholarship opportunities. Klein said 100 percent of honors students who have submitted projects to the National Honors Council Conference in Atlanta have been accepted, and three students will present this fall. Several honors students received Fulbright scholarships and, last year, Ship had its first Goldwater Scholar. Rabe received a Fulbright in 2016 in Germany and recently had the appointment extended. "The opportunities stemming from the honors program were plentiful and rewarding," he said. "The application for the Fulbright Program drove me to take on a German Studies minor in the latter half of my career at Shippensburg. This added skillset has ultimately changed my future career path." Each year, qualified students are invited to join the honors program. 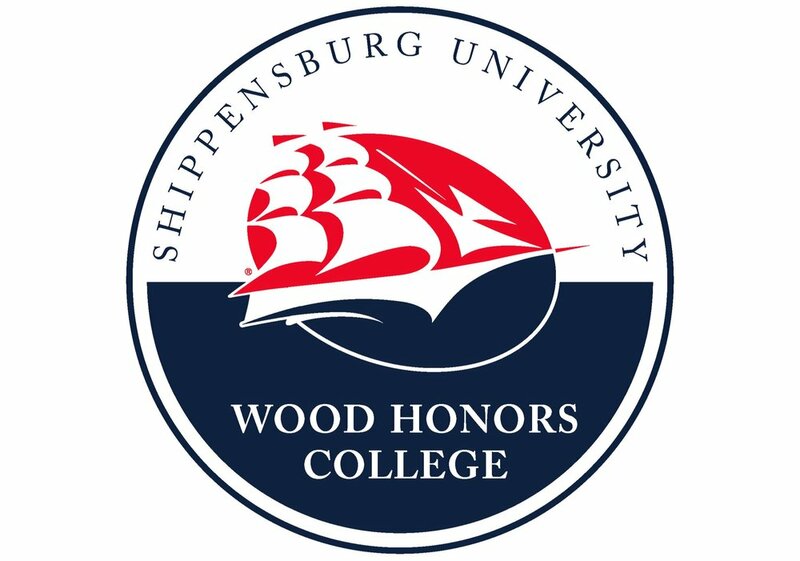 There are 170 students currently accepted into the honors program at Ship. They represent diverse disciplines in all three colleges. The have different interests, talents, and passions. Many are student-athletes. But they feed off their differences and value the opportunities to learn from a new perspectives. It can be a challenge to pinpoint what characterizes an honors student. Dagnes said her honors students are very inquisitive and provide illuminating conversation in class. Senecal said they take their passion and work ethic as far as they can. Harrow describes honors students as incredibly engaged. “It’s wonderful and impressive,” she said. Determining the makeup of an honors student is exactly what Gillespie focused on for his honors capstone class. Gillespie said his communication/journalism major gave him the skills for his project, while honors provided him with the means to apply his skills in the real world.